Jennifer Lopez covers the Spring 2012 issue of V magazine wearing a jockstrap!!! She’s showing ex-hubby Marc Anthony that she still got it! What do you guys think about the cover? Please share your thoughts! I have to say that I love Madewell!! I love the clothes, shoes and accessories, so I was naturally excited to see their collaboration with Keds. It reminded me of my childhood. 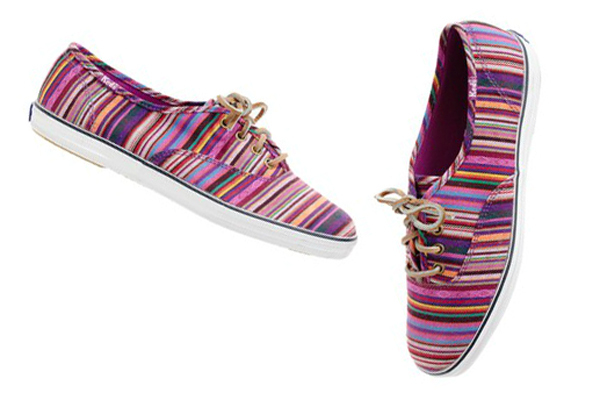 You can get the fun styles for only $50 on Madewell.com and Keds.com. Which one is your favorite? Beyoncé made sure to keep Blue Ivy under wraps, in a stylish way, no less! The proud mother carried her bundle of joy in a baby carrier wrapped in a leopard print scarf on her way to lunch with Jay-Z in the West Village.People that saw the family at the restaurant said that Beyoncé breastfeed Blue at the table. Baby’s gotta eat too. LoL. Who do you think was Best Dressed at this year’s Oscars? Please share your thoughts!